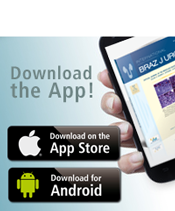 Purpose: To compare the staining intensity of the upper urinary tract (UUT) urothelium among three UUT delivery methods in an in vivo porcine model. Materials and methods: A fluorescent dye solution (indigo carmine) was delivered to the UUT via three different methods: antegrade perfusion, vesico-ureteral reflux via in­dwelling ureteric stent and retrograde perfusion via a 5F open-ended ureteral catheter. Twelve renal units were tested with 4 in each method. After a 2-hour delivery time, the renal-ureter units were harvested en bloc. Time from harvesting to analysis was also standardised to be 2 hours in each arm. Three urothelium samples of the same weight and size were taken from each of the 6 pre-defined points (upper pole, mid pole, lower pole, renal pelvis, mid ureter and distal ureter) and the amount of fluorescence was measured with a spectrometer. 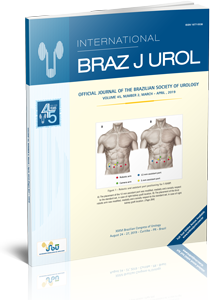 Results: The mean fluorescence detected at all 6 predefined points of the UUT urothe­lium was the highest for the retrograde method. This was statistically significant with p-value less than <0.05 at all 6 points. Conclusions: Retrograde infusion of UUT by an open ended ureteral catheter resulted in highest mean fluorescence detected at all 6 pre-defined points of the UUT urothe­lium compared to antegrade infusion and vesico-ureteral reflux via indwelling ureteric stents indicating retrograde method ideal for topical therapy throughout the UUT uro­thelium. More clinical studies are needed to demonstrate if retrograde method could lead to better clinical outcomes compared to the other two methods.